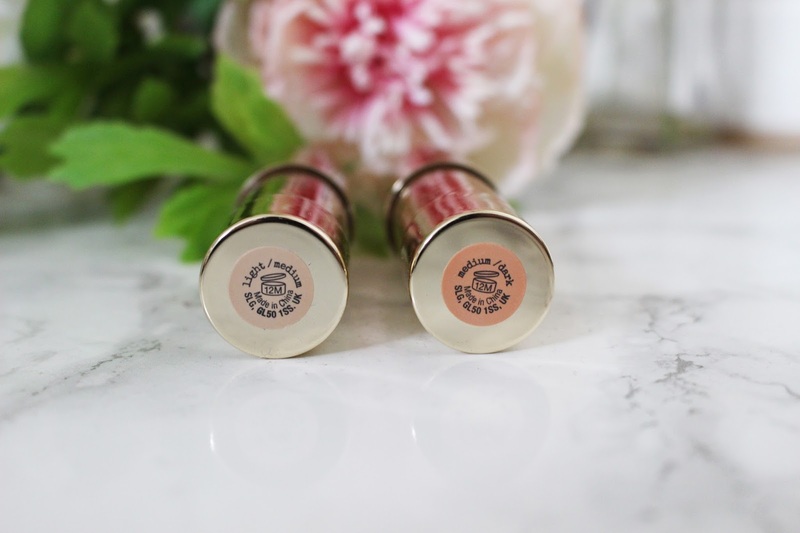 First up are the two creamy contour sticks! Usually when it comes to contouring I am not a massive fan of cream contour sticks, and much prefer powder products. However, since trying the Benefit Hoola Quickie Contour Stick, I have been converted! 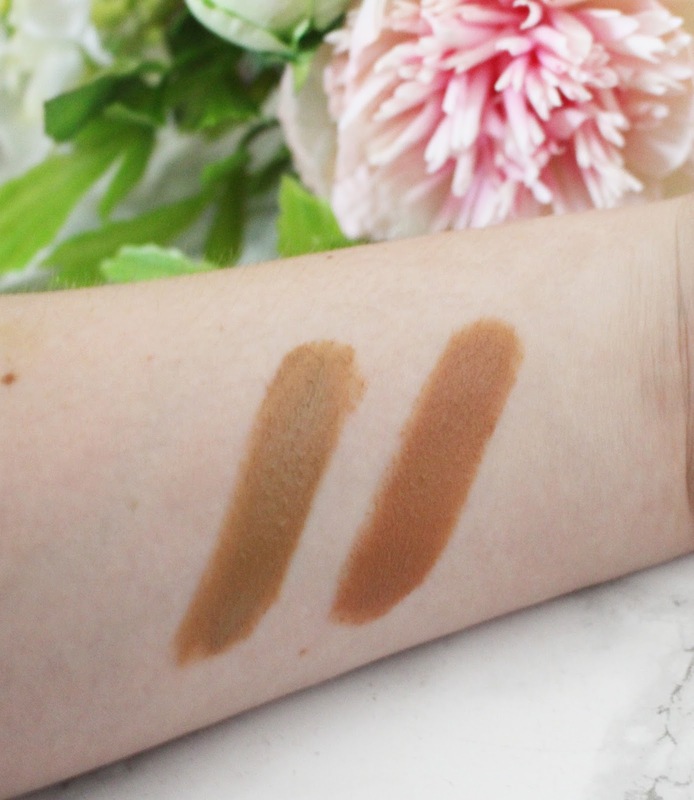 The Tanya Burr Contour Stick is available in the shades Light/Medium and Medium/Dark. The light/medium is the perfect shade for my skin tone, but I may be able to still use the medium/dark shade when I am slightly more tanned. The formula is creamy, blendable and long lasting even in the hot Summer weather. 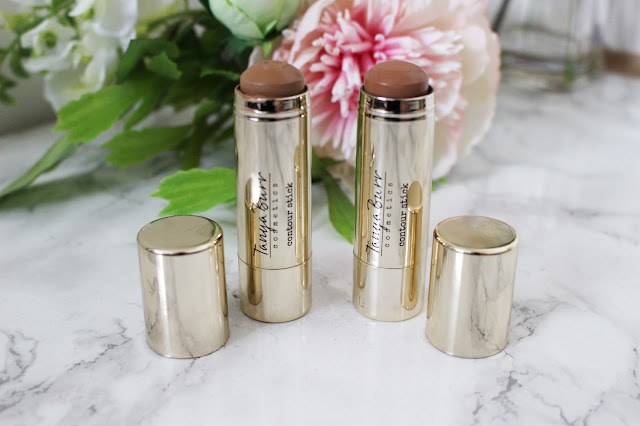 These little sticks are so easy to use at home or on the go; and are now a staple in my handbag in case I need to touch-up during the day. Once buffed into the skin, they give a natural contour to the face, whilst still looking defined and contoured. You really don't have to use too much of this product to get a beautiful contoured look. They are priced at £6.99, which is an absolute bargain in comparison to other high end contour sticks that I own. It is a great on the go product and once blended into the skin it gives you the most beautiful healthy glow, without looking too harsh. Next we have three velvety soft and beautiful illuminating powders. 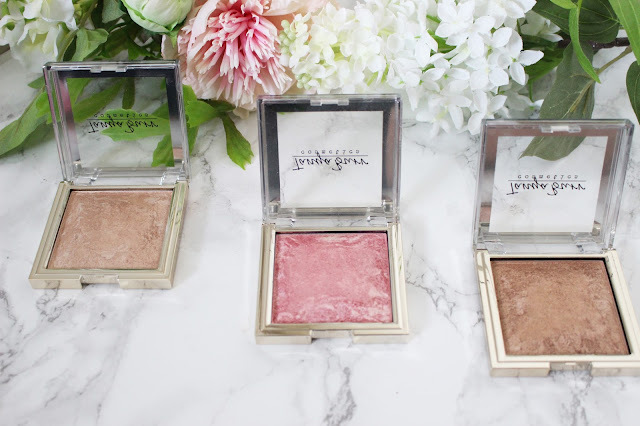 I am all about illuminating products in the Summer, and these three powders are absolutely stunning (think of every word for beautiful and that will sum up these illuminating powders). They come in three really pretty shades; Champagne Sorbet (a champagne highlight), Peonies Please (a shimmer pink blush) and Warm Bronze (a shimmer bronze). Since reading Tanya's very own post on her blog, which can be found here, I have started using Warm Bronze as an eyeshadow, like she does, and it looks absolutely beautiful all over the lid; perfect for those days when you want to go for a more minimal makeup look. I don't really use Warm Bronze as a bronzer as I prefer a matte bronzer, but I will use Champagne Sorbet as a highlight and then Peonies Please on the cheeks to give a me a natural blush. These illuminating powders are so pigmented and gives off a gorgeous glow. 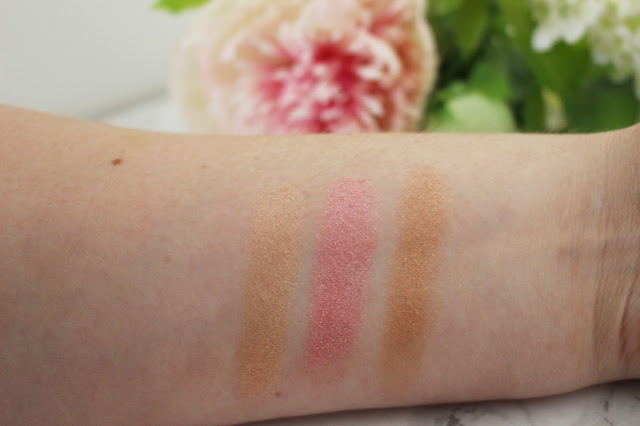 They feel like velvet and blend so beautifully on the skin to make your skin glow! I absolutely love the marbled effect on the products and they do remind me of more high end makeup products that I own. 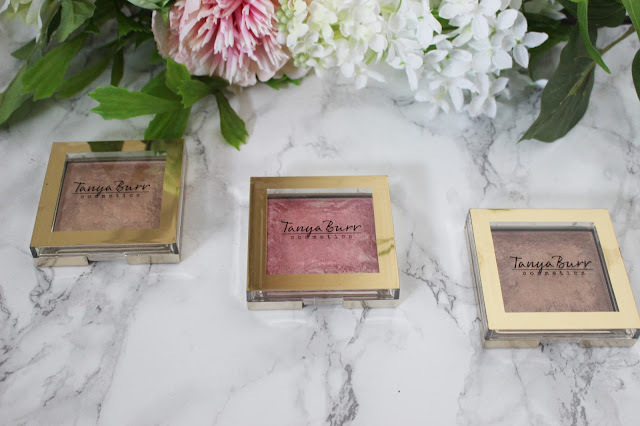 These three powders are definitely the stars of the whole collection, and at £7.49 each, they are definitely worth the price. If I am being 100% honest, a lip balm in a tin is not often something I would scream and rave about. I much prefer using lip scrubs or just a lip balm in a tube; often I find it so hard to open the tins and I usually end up never reaching for them. 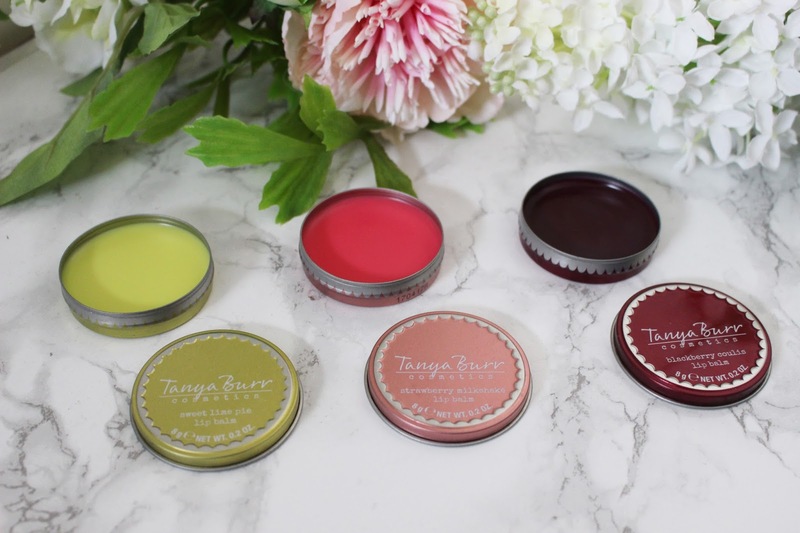 But I wanted to review the whole Chasing The Sun collection and I decided to purchase all three of Tanya's new lip balms. The lip balms do, however, come in three delicious scents - Blackberry Coulis, Strawberry Milkshake and Sweet Lime Pie. 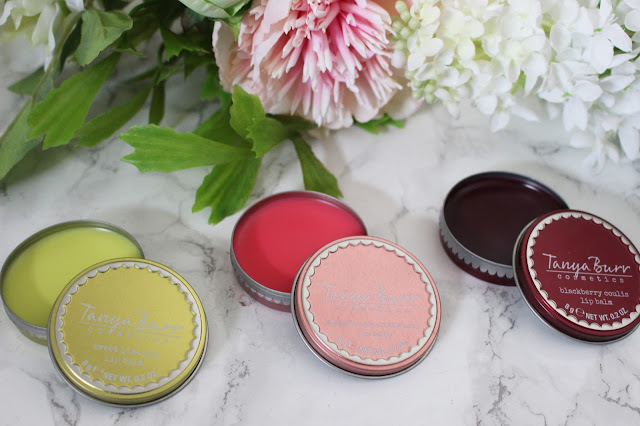 They do smell really good, and I like the fact that the Sweet Lime Pie is clear while the other two are tinted, however they are just a lip balm and although they look cute, I just don't think I will reach for these as much. They are comfortable to wear and did feel moisturising - but I have other lip balms that I prefer to wear. When I used these they did give me a glossy finish, but I preferred using Strawberry Milkshake on my cheeks instead. I had read a review where someone had said that they had used it on their cheeks to give a natural flush colour to the cheeks - I decided to give it a go and was pleasantly surprised with the results. This is definitely my least favourite product out of the whole collection and would probably pass on them if I wasn't writing this review. At £4.99 each, I would not repurchase them, although I do think they would make amazing birthday stocking fillers! 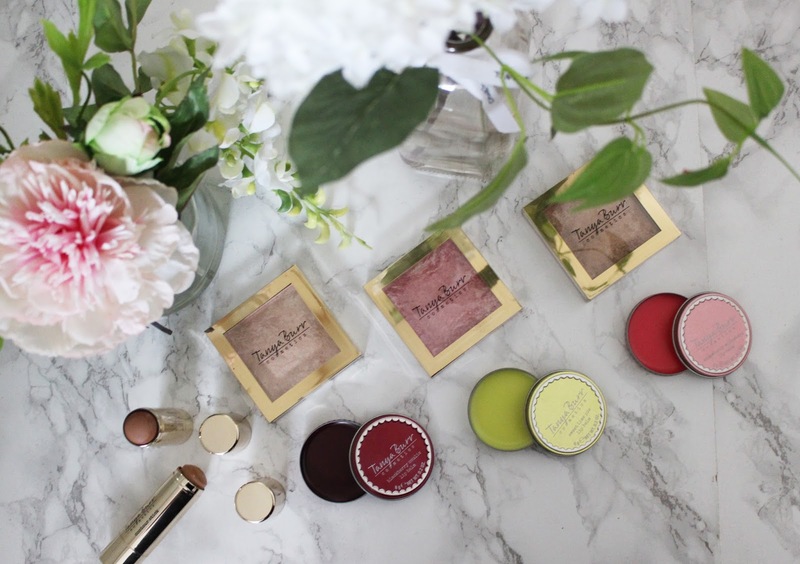 Have you tried any of Tanya Burr's Chasing The Sun collection? If you have, let me know in the comments what your favourite products are from the collection?